I'm still trying to figure out how I feel about 9 Rides, and that's a good thing. It's a winding road of a film, and I fear that it may get lost beyond the film festival scene. That's kind of tragic, but it's also beautiful because it exists. This revolutionary piece of cinematic art exists. That warms my movie fan heart. Matthew A. Cherry shot 9 Rides on the iPhone 6s (with the help of a really cool add-on lense). The film had its world premiere at SXSW over the weekend. That in itself, is wonderful and revolutionary. 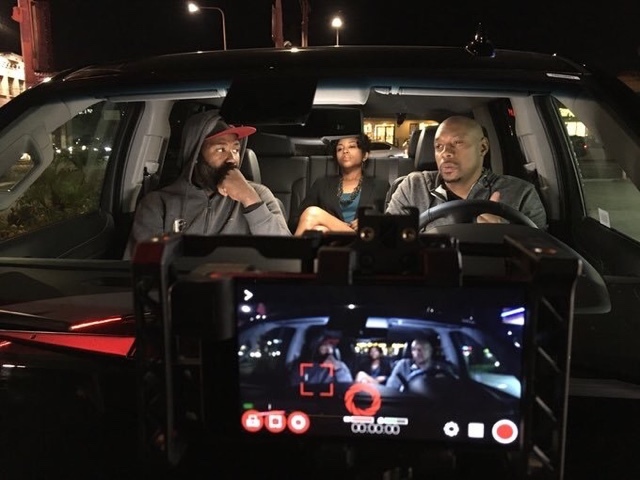 The fact that a black filmmaker can create a feature film on an iPhone and have it screened at a major film festival is revolutionary stuff. Like Jean-Luc Godard type revolutionary. 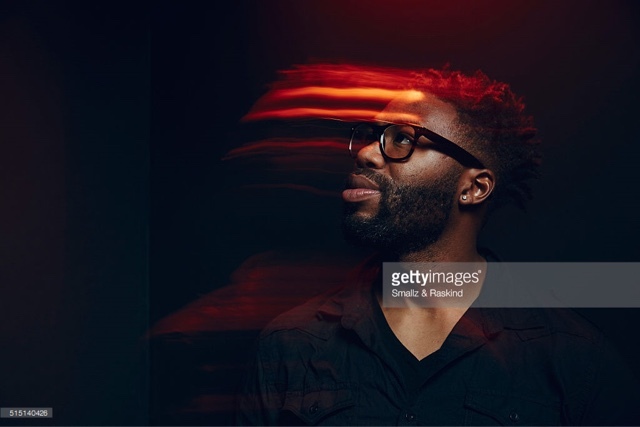 Matthew A. Cherry is reshaping the the way black filmmakers are perceived in the industry and he's becoming a trailblazer in this digital age. As I watched 9 Rides I was reminded of films like Ramin Bahrani's Man Push Cart, and Matt Porterfield's Putty Hill. These films are long and observational by nature, but in the best kind of way. I'm not sure if most people would appreciate the artistry there. If you've seen those films then you'll understand why I like 9 Rides. Films like Man Push Cart, Putty Hill, and 9 Rides are powerful in a subtle slow-churned way. 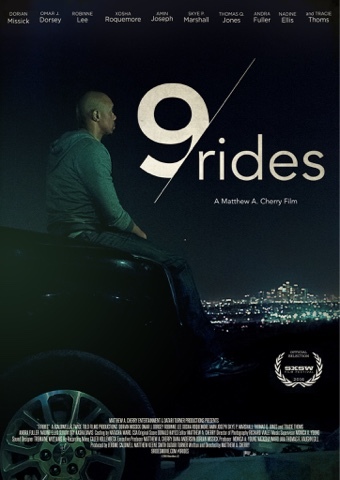 9 Rides is about an uber driver and the passengers he picks up on New Year's Eve. 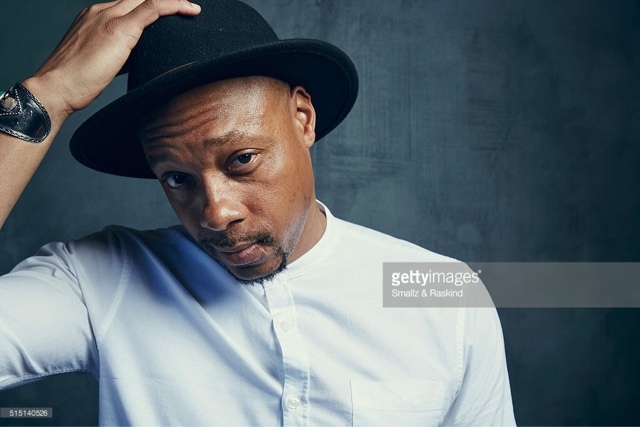 The driver is played by Dorian Missick (one of the hardest working actors in "black cinema." He's an actor who just needs one iconic film or TV role to push him into the next level of stardom). Of all the short stories that 9 Rides featured, two of the "rides" stick out the most: The outstanding scenes where Missick's character totes around a group of rowdy millennials and gets stopped by the police. The other remarkable ride is when he tries to help a woman in need from her abusive "boyfriend." Those stories, those moments of human connection, were packed with emotion, and they highlighted the strength of Missick as a leading man, and spotlighted the relevance of Cherry as a director dealing with delicate subject issues in a poignant way. 9 Rides was good, but it wasn't "perfect." 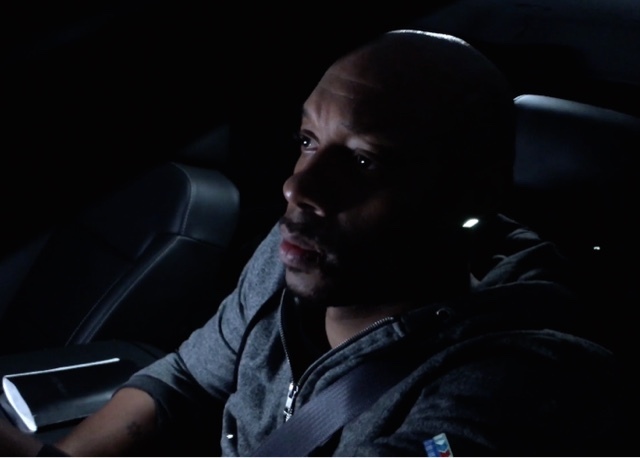 I would have liked to see Missick's character outside of the car more often, and I would have enjoyed more lingering shots of Los Angeles at night. The film offered some of those, but not enough. I wanted the film to slow down and let me sink my teeth into the characters. But I'm not sure if that would be possible outside of turning 9 Rides into a mini-series or TV show, which would be pretty fasinating. It has all the right ingredients for a long-form platform. I guess my only real complaint is that I wanted more, which isn't much of a complaint at all. I'd like to see what Cherry can do with a bigger budget because so far I've been pleased with his work. I feel like Matthew A. Cherry is on the path to crafting his magnus opus and strengthening his artistic voice and style. I've written about Cherry several times on this site, and it should be no surprise to those that follow me on Twitter that he's one of my favorites in the Subtle Core movement of black filmmakers. 9 Rides makes sense, it's ingenious and clever filmmaking. It's a true example of the spirit of indie cinema. The kind of daring work that I'd like to see more black filmmakers take. Bottom line: If you appreciate films that make you feel like a "fly on the wall" as you watch naturalistic scenarios then 9 Rides will be a treat for you. Wonderful review for an equally wonderful film. Saw it at SXSW and was too blown away. I agree, Missick is one role away from stardom. And Cherry is shaping up to be a powerful voice in Black cinema. This may be a Spike/Denzel partnership in the making. Buy latest long anarkali dresses, Our Anarkali suits collection is one of the best and highly loved by our customers. Find newest collection of anarkalis dress available in all size at aufashionkart.com. Nice post thanks for the information. Wish your relatives, friends, and colleagues happy Christmas. We have collected some awesome Christmas quotes for you. Find best selected happy New Year wishes on Festival-wishes.com & send message to you relatives. We have huge collection of New Year Quotes. Find all sarkari naukari details only at ssc-results-nic.in. You can also find all government job, results, ssc results, ssc cgl results here. I am really impressed with the content of this page, would love to keep visiting your page.!! Content of your of page is very good. I really like this.!! blood pressure and more. keto slim 7 reviews Try opting for public places like entertainment centers, shopping malls, and churches.